Many women know more about the risks of birth control than about how the right contraceptive might improve their lives. For busy women, making good health decisions and actually taking care of ourselves can be a challenge, especially when practical factors such as complicated schedules, finances, and competing demands are taken into consideration. Well-balanced, well-presented information can empower women to make smart decisions about reproductive health care. Unfortunately, thanks in part to how the American legal system works, many women know more about the risks and side effects of birth control than about how the right contraceptive might improve their health and well-being. 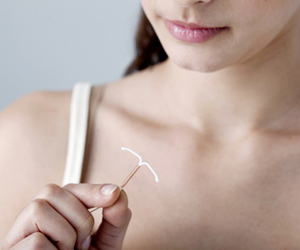 Some hormonal IUDs (Mirena) reduce menstrual bleeding and cramps by on average 90 percent. They protect against anemia, endometriosis, and endometrial cancer. Once established, a hormonal IUD can also protect against infections that cause pelvic inflammatory disease and infertility, as well as treating the symptoms of fibroids. The implant (Nexplanon) completely eliminates pain associated with menstruation for most users. Copper IUDs like the Paragard are hormone-free, but still appear to protect against endometrial cancer and cervical cancer. “The Shot” (Depo-Provera) reduces cramps and bleeding, improves symptoms from fibroids, and can reduce the risk of endometrial cancer by 80 percent. Estrogen-Containing Contraceptives, which include most common forms of “The Pill,” along with “The Ring” (Nuvaring) and “The Patch,” improve acne, reduce benign breast disease, reduce premenstrual syndrome, and help to regulate or eliminate problem periods. They also protect against ovarian or endometrial cancer, reducing these cancers by as much as 50 percent. Ovarian cancers start in the fallopian tubes and metastasize to the ovaries. This means that tubal sterilizations which remove the fallopian tubes prevent ovarian cancer. Condoms, as most of us know, prevent a wide variety of sexually transmitted infections. Some of these are surprisingly common among young people, such as chlamydia, which can cause infertility, and HPV, which causes cervical cancer. Fourteen percent of American women taking birth control pills use them exclusively for non-contraceptive reasons like those stated above; another 58 percent use them for mixed reasons. Similarly, many women use hormonal IUDs to reduce or eliminate problem periods. But the biggest health benefits of contraceptives come from the fact—pure and simple—that birth control allows women to manage their fertility. Most pregnancies turn out well; in fact, a wanted pregnancy and childbirth can be a peak life experience. Even so, pregnancy is often inherently dangerous. According to the Bixby Center for Global Reproductive Health, half of pregnancies trigger some kind of medical problem such as a serious cut or tear, the need for a C-section, infection, excessive bleeding, a blood clot, high blood pressure, or gestational diabetes. This doesn’t include mental health issues, such as postpartum depression, which can be triggered by hormonal changes and physical stress. And although maternal mortality is admittedly rare, approximately 650 American women die each year from pregnancy. A woman who wants a child may take her chances willingly, even gladly. Given that half of all U.S. pregnancies are unintended, however, we can infer that women are being put in danger by pregnancies they never sought. Last year, former congressional candidate Darcy Burner went public with her near-death story to explain why abortion access can be a lifesaver. But birth control saves lives, too, by preventing unwanted pregnancies and making it easier for women to space out childbearing in ways that are healthiest for them and their families. That’s why it’s so important that we advocate for everyone’s ability to access contraception—and for accurate information about it to be made widely available. Unfortunately, there exists a media, legal, and social climate of alarmism around reproductive health care that can make it difficult for women to make fact-based, potentially life-improving choices about contraceptives. For example, in recent years, several dramatic news stories have broken about some kinds of birth control increasing a woman’s risk of blood clots, inspiring terror in many users of Yaz, Yasmin, and the Nuvaring, among others. It turns out that the alarm about these methods was unwarranted, but in fact all estrogen containing contraceptives appear to double the risk of a blood clot. Before you panic, keep reading. All women have some risk of blood clots, but that risk is quite low: The chances of developing a clot are around 5 in 10,000 per year. And while clots can be dangerous—even deadly—most heal without long-term effects. Without any other risk factors at play, doubling this low number means the annual risk of a clot while on an estrogen-containing contraceptive is still extremely low. To quote a common refrain, Two times a very small number is still a very small number. To put this danger in perspective, let’s compare the risk of a clot from contraception with the risk of a clot from pregnancy. During pregnancy, the risk of a clot reaches approximately 30 in 10,000. In the six weeks after giving birth, clotting skyrockets to as high as 300 in 10,000, or 60 times the normal rate. Here is another way of saying it: Women who got worried and discontinued their birth control in response to the media frenzy about Yaz, Yasmin, or Nuvaring—especially those who did not use other contraceptives instead, or chose less effective ones—may have put themselves in danger of the very thing they wanted to avoid. For a woman to make the best possible decisions, she needs accurate and balanced information about the available options. What are the pros and cons of different options? How do they compare to each other? How common are the best and worst scenarios? After making a choice, what would be reasonable to expect? What might signal that something could be going wrong? Simple changes in how doctors, journalists, and advocates talk about birth control could help women answer these questions. Warnings about birth control methods should be based on what is likely and what is important, not simply what is new or statistically significant. 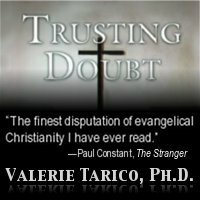 Well-intended messengers must recognize that by triggering unwarranted or disproportionate fears they can actually cause harm. Information about any single birth control method should be paired with information about other methods and none at all, including the odds of becoming pregnant. The most relevant and important information should stand out, as in this excellent poster by Bedsider.org and this interactive graphic from Healthline. Furthermore, the “Paling Palette” can be a valuable tool for comparing risks quickly and simply. Discussion of risks should include what researchers call absolute risk (how likely is it?) and relative risk (how does it compare to other options?) so that women can put the possibilities in perspective and weigh different courses of action against each other. Comparisons with other everyday risks can also help to put things in perspective. For example, a short airline flight of one to two hours more than doubles blood clot risk during the following eight weeks; a minor injury like a sprain or pulled muscle increases the risk even longer. Yet we choose to travel and play sports—among other activities—because that’s part of what makes life rich. Fortunately, most of the time, both birth control and well-managed pregnancies turn out fine. But in order to help keep women safe and healthy, we must push back against hyperbole and continue to publicize all the risks and benefits of contraceptives—so that every decision individuals make about their bodies can be a well-informed one, and women can live the lives of their choosing. The author would like to thank Dr. James Trussell for reviewing this article, and Contemporary Forums and Contraceptive Technology for providing an overview of contraceptive risks and benefits. Gallery | This entry was posted in Reproductive Health and tagged family planning, LARC, reproductive health, tort reform. Bookmark the permalink.